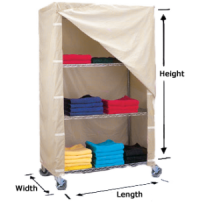 200 Denier nylon is a lightweight fabric used mostly in low impact applications such as storage and non-transporting carts. This fabric is both economical and consistent. Washable, Durable. Choice of Heavy Duty Zippers or Velcro Closure. Double Needle Construction Choice of Heavy Duty Zippers or Velcro Closure.